Music is considered as an art which evokes Gods; the melodies of the instruments are responsible for instilling soothing terrain of life into the humans alike. For some, it is a pastime, and for some, it’s their part of life. A musician’s life and livelihood depend upon the strings of the instrument, which even though is lifeless but becomes entrenched into the soul of the musician as his occupation as well as his skill. Music instruments also can be considered as a cultural heritage , being associated with a particular form of art. Music has a lot to do with the enduring cultural traditions of Rajasthan, a state in western India, often known for its musical heritage. In this era of effervescent music, people tend to become part of such culture that still preserves the vibes of traditional music. 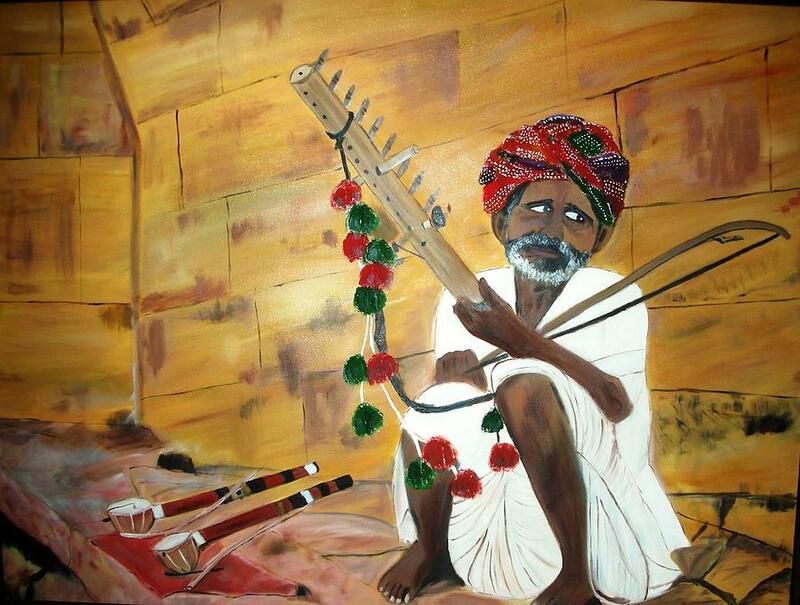 Rajasthan has various genres of folk culture with their specific understanding of music and the instruments. 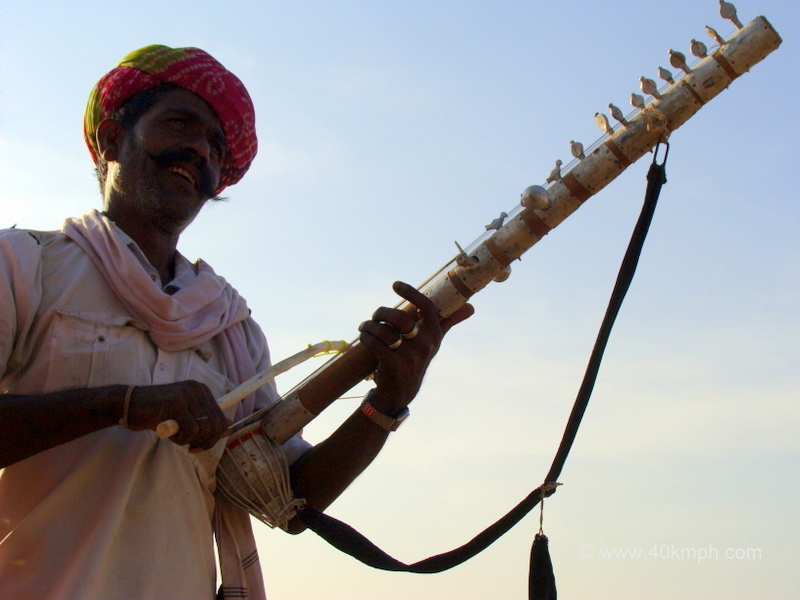 One of the most important music instrument in Rajasthan is Ravanhatta. Ravanhatta, a string instrument, is believed to have originated in Sri Lanka, in the reign of demon king Ravan. According to the legend, Ravan being an ardent devotee of Shiva pleased the god by playing the Ravanhatta or Rvanstorm. It is also said that during a war between Sri Ram and Ravan, Hanuman took the Ravanhatta from Lanka and brought it to western India. It is fascinating to know that people pursuing this craft are not only skilled artisans but also double up as proficient musicians. Materials required to make this instrument are the locally available bamboo shoots, wood, coconut shell and metal pipes. The instrument may further be accessorized by attaching colorful pouches, beads, tassels, musical adornments (ghunghroo) according to the sensibility and convenience of the musician. This instrument is used in a particular scenario, particularly in the telling of the folk tale of Pabuji. The story isn’t any ordinary story, it is narrated frame by frame from the Phad paintings that illustrate the glory of Pabuji, a hero of the local tribe. Most Ravanahatta players are priest singers called Bhopas. Ravanhatha is said to be the precursor to the violin. The beautiful strains of Ravanhatha can be heard in Rajasthan in their wonderful folk music. It is said that the royals of Rajasthan and Gujarat popularized this instrument where this became the first musical instrument to be taught to the princes of royal families as well as among the women. Folk cultures are different, in many ways from the classical traditions. First of all, they are not written. Secondly, they are considered down upon for their own storylines and characters.Even though some of the characters taken are from the mainstream tradition but there are differences in the plots suiting to the local imaginations of the people. But it can still be considered as a heritage for its centuries of transmission and the belonging to the world of local and indigenous. The melodic strains of the Ravanhatta still fill the desert State with vibrancy.